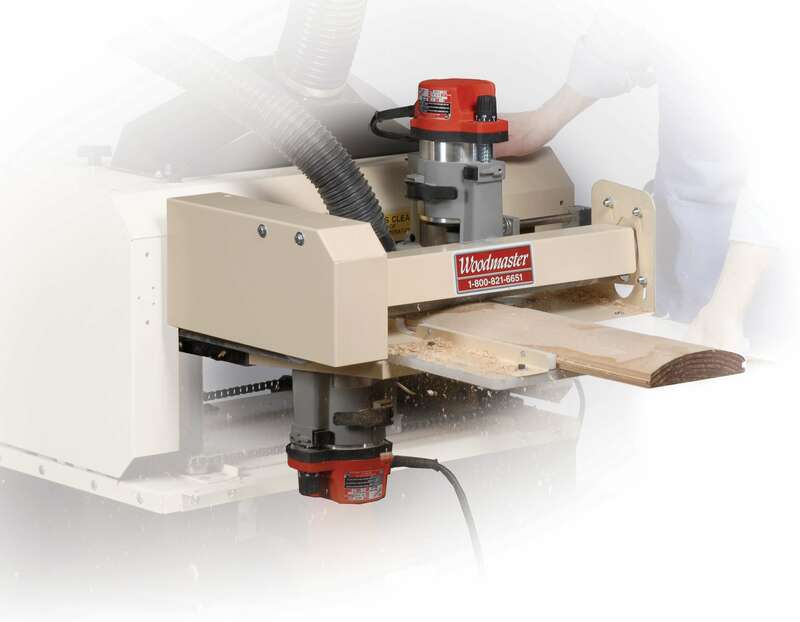 Home / Shop / Accessories / Dual Router Station / 718 Dual Router System – Molds 3 Sides in a Single Pass! It’s the high-quality, high-speed way to make flooring, paneling, wide character molding, rabbet cuts, chamfers…and much more. Mounts to outfeed of your Woodmaster. Includes a third, power-feed roller plus two powerful, 3.5HP Milwaukee routers. Handles materials 3″ to 10″ wide. Routers warranted separately for 5 yrs by Milwaukee. Easy , no-drill installation, full instructions.